By taking forms online, Jefferson County helps people calculate how much they will owe. 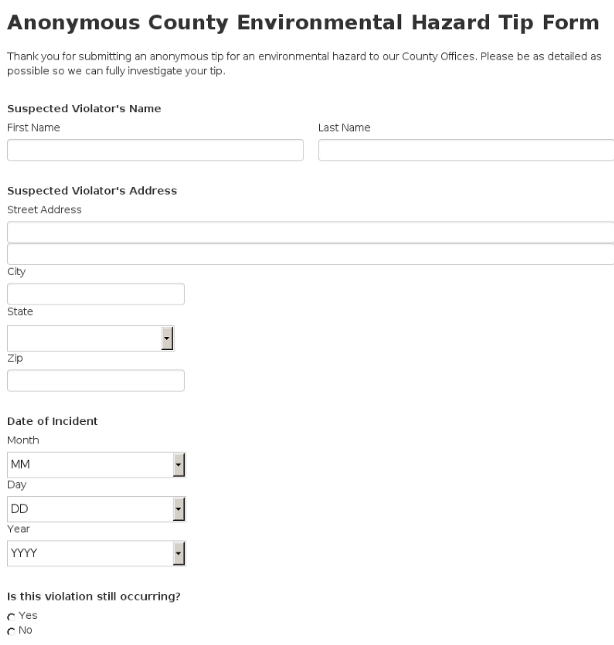 Stephenson County saves plenty of time and money converting one form. See how. See how Box Elder County saved time and money by using SeamlessDocs. 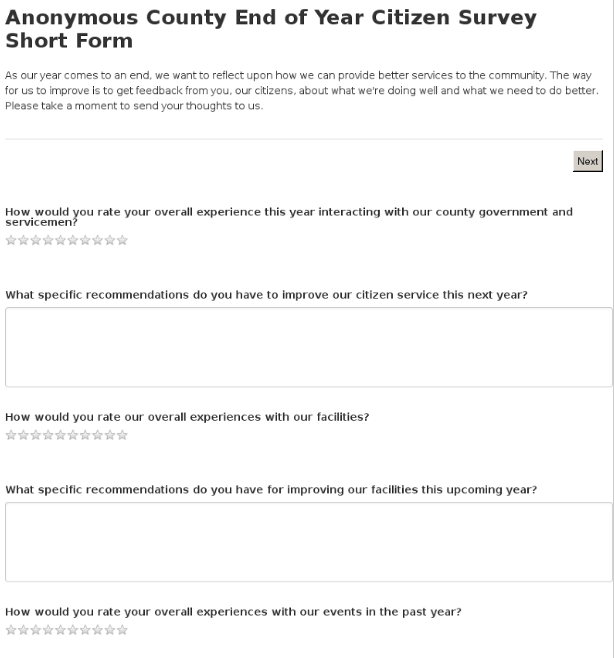 Citizen feedback is the best way to improve government services and provide citizens with the treatment and support that they deserve. 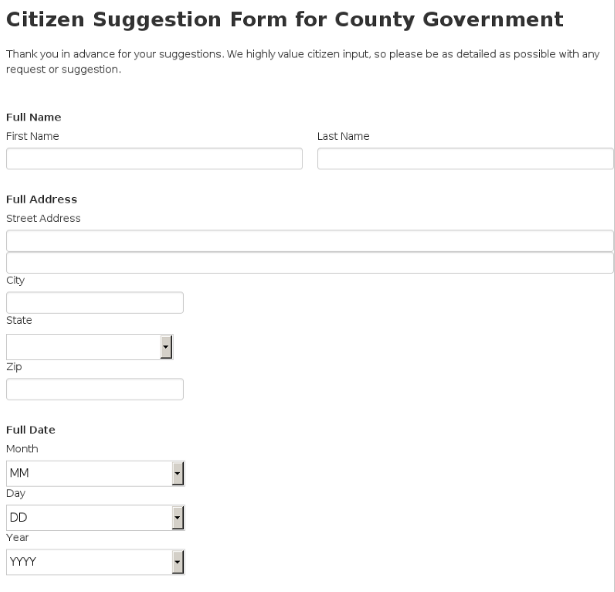 Use the Citizen Suggestion Form for County Government to allow citizens to make suggestions for improving any aspect of county government. 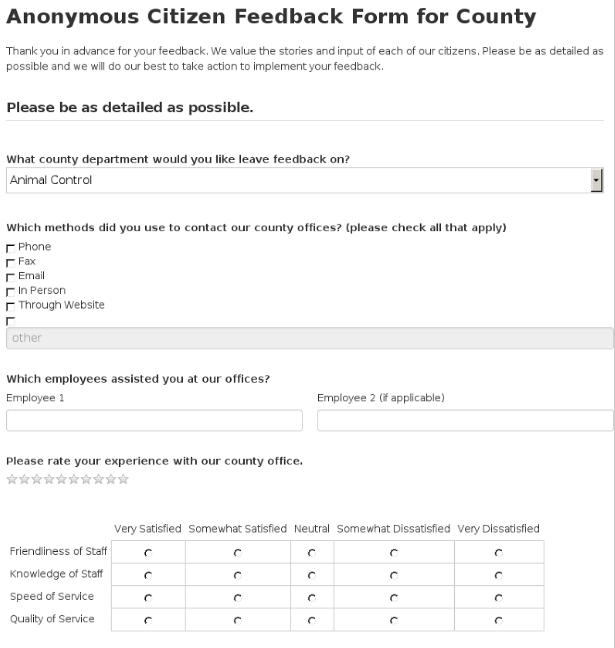 Citizen feedback is the best way to improve government services and provide citizens with the treatment and support that they deserve. 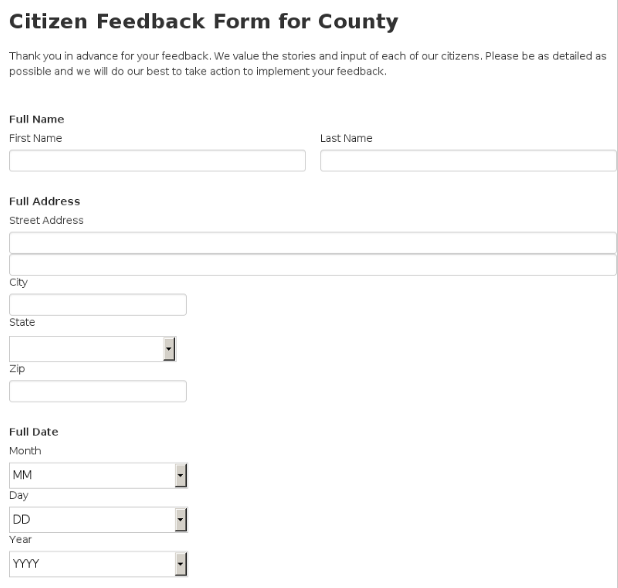 Use the Citizen Feedback Form for County Government to allow citizens to give feedback on their unique experience with your county government. 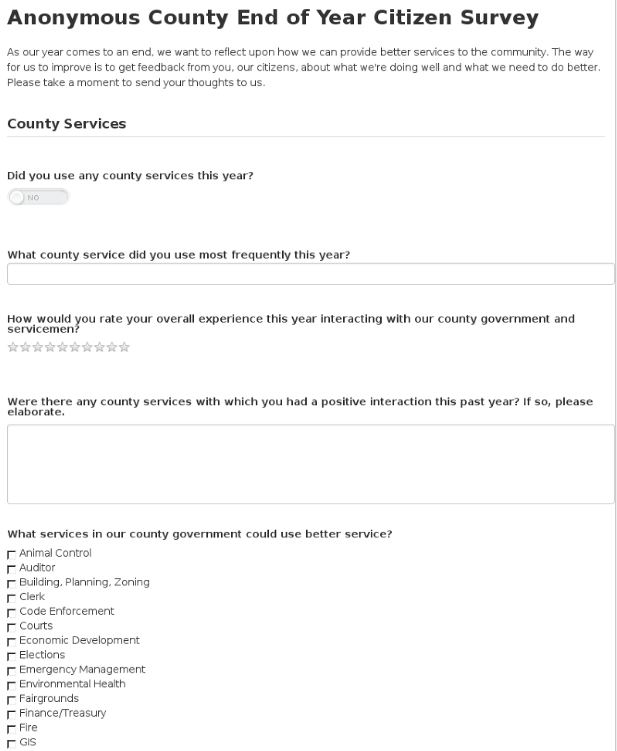 Citizen feedback is the best way to improve government services and provide citizens with the treatment and support that they deserve. 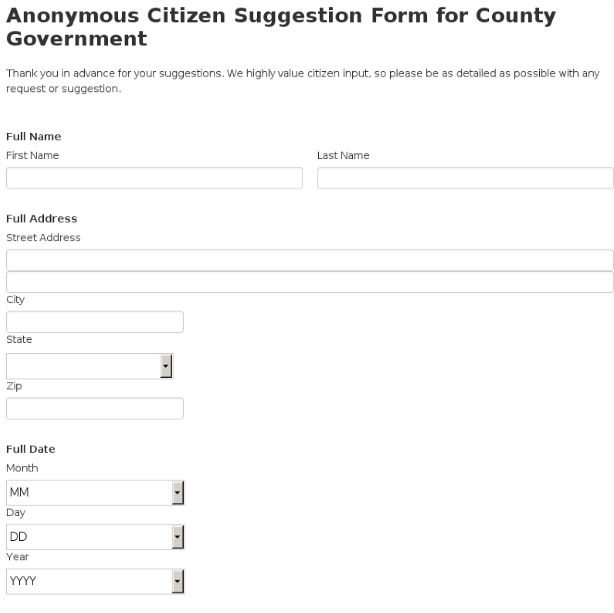 Use the Anonymous Citizen Suggestion Form for County Government to allow citizens to anonymously make suggestions for improving any aspect of county government.